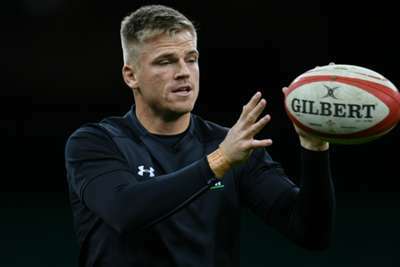 Gareth Anscombe is set to leave Cardiff Blues and join Pro14 rivals the Ospreys ahead of next season, it has been confirmed. 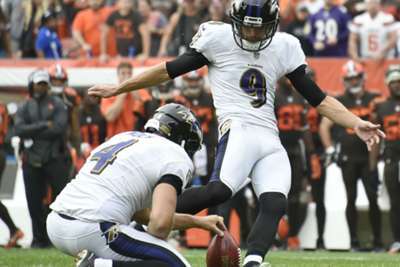 Monday's announcement ended weeks of speculation surrounding the future of the fly-half, who kicked 20 points as Wales defeated Ireland to clinch Six Nations Grand Slam glory last month. Anscombe had been linked with a number of Premiership clubs but remaining in Wales means he will continue to be available for Warren Gatland's World Cup squad later this year. "I'm delighted to have secured my future to play professional rugby in Wales and to be joining the Ospreys," Anscombe said. "I am very happy to finally be able to put pen to paper during what's been an unsettling time and commit to staying in Wales. "I know a lot of the boys from my time with the Wales team and they can't speak highly enough of the spirit and ambition within the region, which really excites me. "I've been impressed with the vision and the long-term goals of the coaches and region as a whole and I would like to thank them for supporting my dream to continue playing pro rugby in Wales and, if I am playing well enough, to play for my country." Born in New Zealand to a Welsh mother, Anscombe made his international debut in August 2015 and has since won 26 caps. "I would like to thank everyone at the Blues for the last five years of continuous support," Anscombe added. "They have an incredible team of people working behind the scenes to help the boys, along with some of the best supporters around. I can't thank them enough for all they have done for me since arriving from New Zealand. "Thanks also to a great group of boys playing at the club who welcomed me and made me feel at home from the start. I will continue to do my best for the team until the end of the season and I will leave with many happy memories of my time with the Blues."